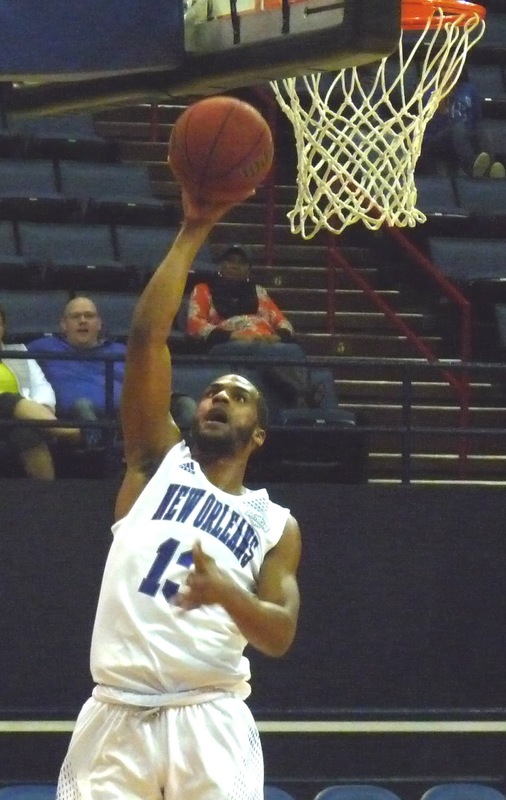 The Privateers and non-Division I Williams Baptist were tied at 54 as late as the 12:31 mark of the second half before New Orleans (5-6) surged ahead for good in its final non-conference game of the season. They won going away, 91-74. UNO, playing its third game in five days after tough losses to UL-Lafayette and Utah State on Saturday and Monday, appeared to lack focus early on and had 13 turnovers at the half. Williams Baptist closed the frame on a 10-0 run to draw within 43-42 at the break. But with another strong effort from Erik Thomas (21 points), as well as a season high from newcomer Jorge Rosa with 16, the Privateers fought off the upset bid by the visitors with a late second half surge. They led by as many as 22 down the stretch. New Orleans has an eight-day layoff before opening conference play at Lakefront Arena next Thursday against Abilene Christian. It will be a doubleheader with the women's team, who will be taking on Crowley's Ridge.